Yet another important achievement for Comecer. We are proud to announce that on August 2010 we were awarded Dun & Bradstreet’s Rating 1 status. This rating reflects companies with the highest level of financial strength, creditworthiness and the minimum risk of failure. 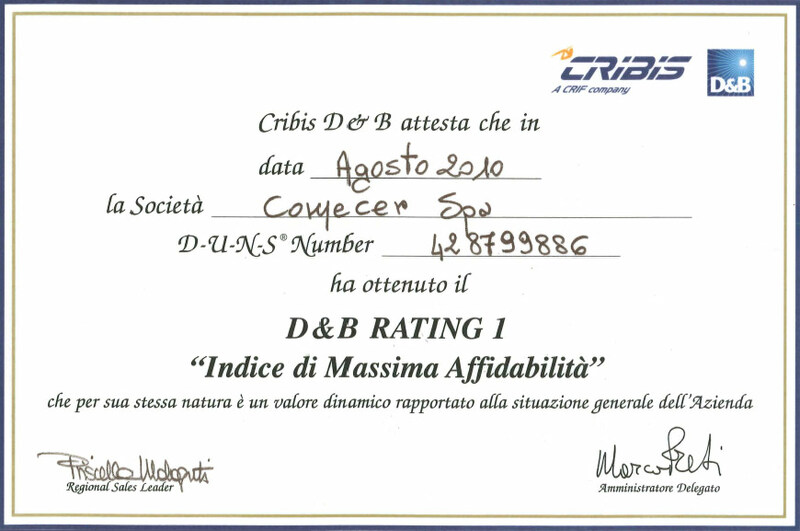 The D&B rating is internationally recognised as an objective indicator of the risk of failure and the creditworthiness of companies. We are especially proud to have received this rating given the global economic turbulence over the last 12 months and the uncertainties that accompany such a recession.